Since its inception in 1971, the Azilda Lions Club has proudly been serving your community for over 45 years! Follow us on Facebook to keep up to date with Azilda Lion News and Future Events! The Azilda Lions Club currently has a membership of 31 members. We are always looking for Community-Minded people who would like to make a difference. Our most popular fundraising initiatives are: the Annual Family Hockey Tournament, Jug Curling Tournament, and Golf Tournament. We also host monthly Spaghetti Dinners. All of the money raised from our fundraisers is returned to the community of Rayside-Balfour. 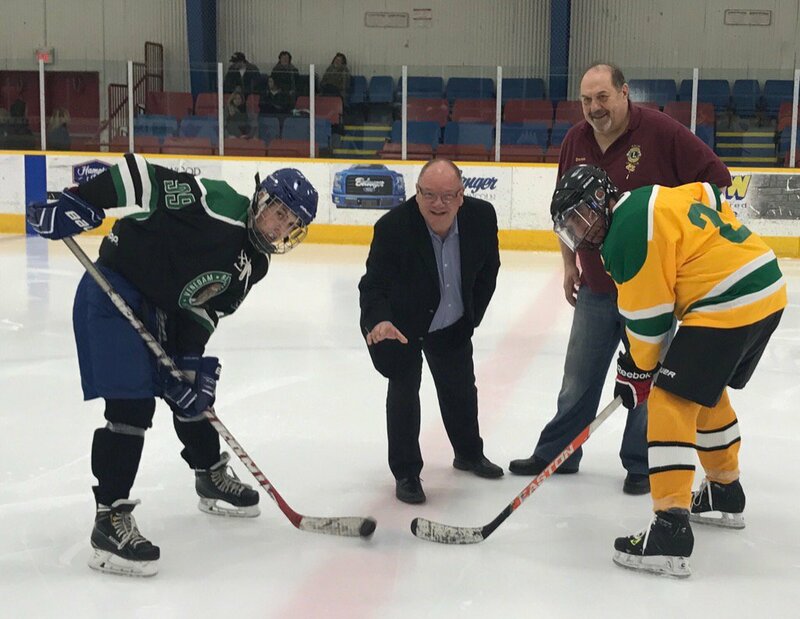 Mayor Brian Bigger drops the first puck to open our 34th Annual Family Hockey Tournament in April 2017.